This speedometer has a digital odometer with resettable trip and should work with most factory sensors. If sender is needed, use 105-5291 (GM) or 105-5292 (Ford). 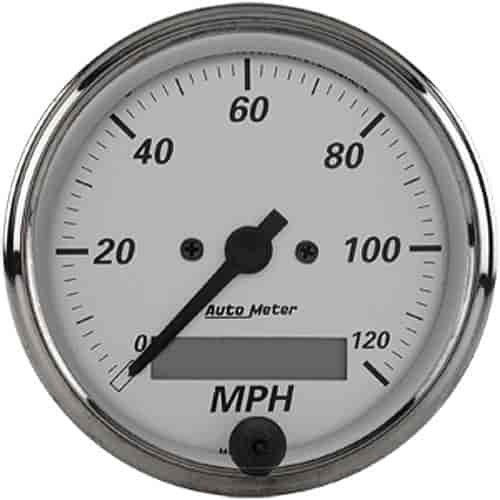 Auto Meter 5289 - GPS Speedometer Interface Measurements: 2.5" x 2.5"